I am the founder and president of Eating Disorder Hope. I have a masters degree in Counseling Psychology and a bachelor’s degree in Human Services. I am a member of the International Association of Eating Disorder Professionals (iaedp), the Eating Disorders Coalition & the Academy of Eating Disorders. I collaborate and support Project Heal, National Eating Disorder Association and many other related behavioral health related organizations. I spend my work hours writing, curating and reviewing articles and blogs to feature on Eating Disorder Hope and our sister site, Addiction Hope. Overseeing our social media, newsletters, Facebook Live Show, Sponsorships, responding to inquiries for support, collaborating with colleagues to further educate, prevent and treat eating disorders. 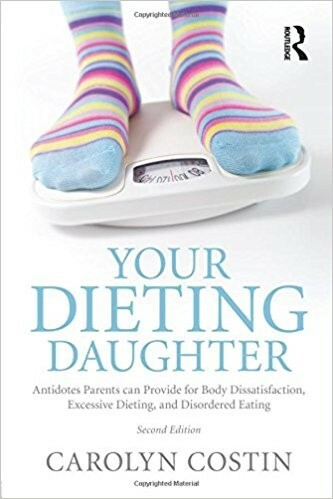 I struggled with an eating disorder during my teens and 20’s. After finally seeking treatment and getting on the road to recovery, I decided to become a therapist and work with others who suffer from anorexia, bulimia, binge eating disorder and really all forms of disordered eating and body image issues. I hoped that my personal journey through an eating disorder would empower me to deeply understand the struggles of my clients. 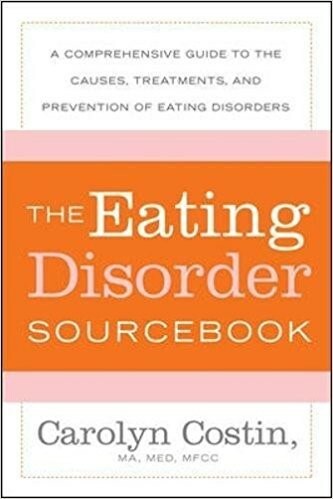 I started off in private practice and launched the Eating Disorder Hope website in 2005. I then moved to devoting all of my time to the Eating Disorder Hope website and stopped seeing individual clients. It was a tough choice as I truly love the soulful and fascinating interaction between therapist and client. However, I sensed that I would likely have greater impact for good by developing the Eating Disorder Hope website to serve the global online community. It appears this was the right choice as we now have over 4 million visitors a year to the Eating Disorder Hope online community and are able to provide resources, information and treatment options to eating disorder sufferers, their loved ones and providers. What advice would you give to someone new to the field? Seek out connections with colleagues who also specialize in eating disorders. They will likely end up being some of your closest friends and will help you develop personally & professionally. Attend the major eating disorder conferences to earn CE/CEU credit, network and stay abreast of all the developing trends and evolutions in treatment. Walk around the exhibition booths and learn about the various providers and programs. Take care of yourself and realize that you must be able to set effective boundaries between work and home life, in order to go the distance in your career. I recovered from this illness and became a high school teacher and counselor. I enjoyed the counseling so much I decided to get my license as a therapist intending to treat adolescents. As a few eating disorder cases trickled into our community, people began referring these clients to me because they knew I had once suffered. It soon became clear that I could help people overcome an eating disorder and become fully recovered. I realized this was my calling and my life’s work. Now I am the Owner and Director of The Carolyn Costin Institute. I became well known as a therapist, opened several hospital eating disorder units and eventually become the first person to open a residential treatment center for eating disorders in a home setting, Monte Nido. Monte Nido grew into Monte Nido and Affiliates and became a renowned, highly regarded treatment center for eating disorders. 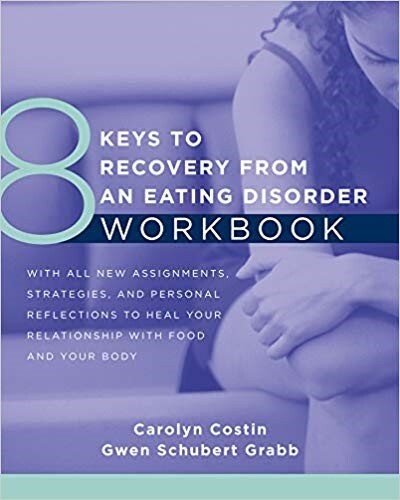 I sold Monte Nido in 2016 and have since opened The Carolyn Costin Institute which offers continuing education to therapists and dietitians, as well as a certification course for eating disorder coaches and a special course for families. 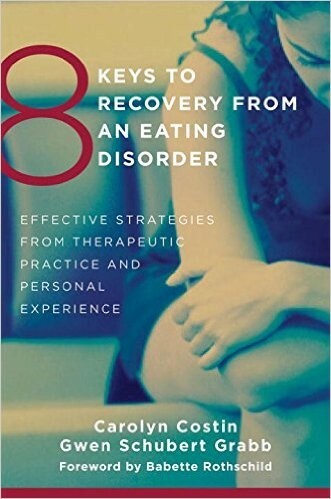 Treating eating disorders is a rewarding but difficult job. Not much training or education on how to treat eating disorders will happen in school. 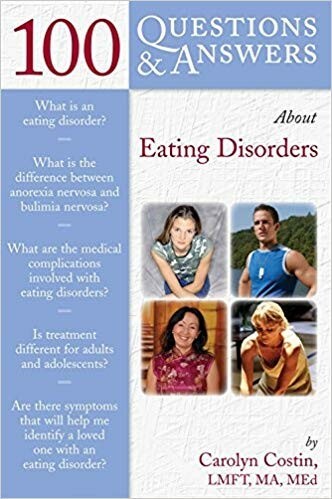 You will need to get training from an eating disorder professional and attend eating disorder conferences and seek out eating disorder certification. You will have to learn to be strong as well as kind, know how to challenge and set limits, be firm, and directive, self-disclose, be authentic and deliver the right balance of nurturing and authority. Expect your clients to lie and not want your help, expect them to slip up and even relapse but also expect them to be courageous, gifted, giving and overall incredible humans. Treat every client who walks in your door as if he or she can be fully recovered. Each client has a healthy/soul self, he/she was born with an eating disorder self. Your job will be to strengthen the client’s healthy self so it takes over the job of the eating disorder self. The eventual goal is to help integrate the two selves back into one whole being. It will help if you pay attention to the difference between ego and soul. The eating disorder is ego out of control. 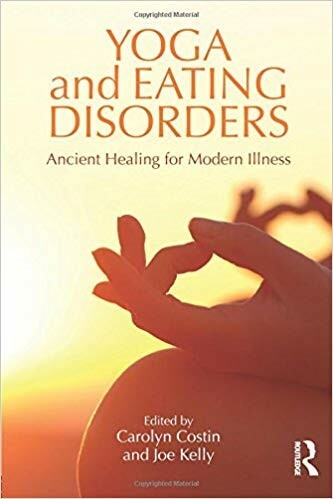 People suffering from eating disorders need to reconnect to soul and leading a more soulful life. The best way to do this is to bring your own soul self forward. Treating eating disorders will make you think about your own values, your own body and your own life. You might even get triggered. Seek consultations and supervision for yourself in this regard. I hope your work in eating disorders will be an incredible and rewarding journey like mine. I entered the field of nutrition for several reasons. First, I loved science. Learning about biological processes was fascinating to me, and it seemed my interest would be unending. Nutrition science combined the hard sciences of biochemistry and physiology with the everyday practice of feeding ourselves. I wanted to make a difference in people’s lives and knew that in nutrition I could do that. After almost a decade working with pregnant women and families with young children, I started a private practice. I imagined helping clients to eat healthfully and to manage chronic conditions through diet. Very early in my practice, I became frustrated. I could tell my clients what to do, but most either did not change at all or adopted new behaviors only briefly before returning to old habits. Some clients described feeling helpless and compelled to eat even though they knew it was “wrong.” When I worked with my first few clients with eating disorders, I finally could not deny that I, too, was helpless and needed more skills. All my friends in counseling professions advised me to go to the Bryn Mawr School of Social Work. 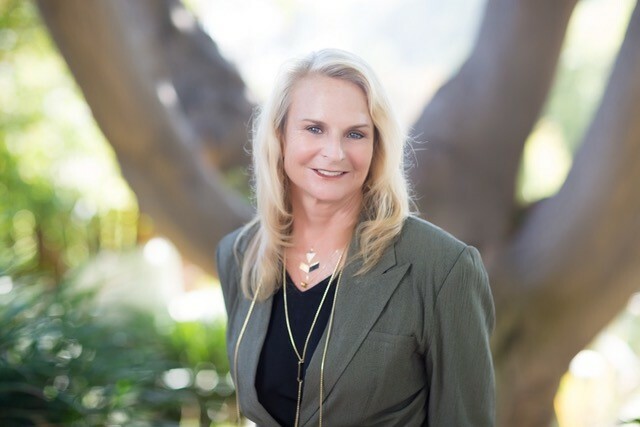 I became a licensed social worker in 1994 and worked as an outpatient psychotherapist for an agency for eight years while maintaining my part-time private practice in nutrition. Three years of gestalt therapy training deepened my professionalism and confidence. Since 2003, in my private practice I provide psychotherapy for a range of concerns and nutrition counseling for those recovering from an eating disorder. My nutrition practice grew and became more rewarding as I integrated what I learned in the mental health field. I began to wonder whether any of my nutrition colleagues were as frustrated as I had been and whether I could pass on some of my knowledge to them. In early 2003, I felt inspired to write a brief article on self-disclosure for nutrition colleagues. It was a topic that, as a psychotherapist, I had always found compelling. I e-mailed it to a dozen or so local dietitians. They liked it, and I found myself interested in another topic and another and another. Soon the list of ideas for Counseling Tips for Nutrition Therapists was growing faster than I could write them. More and more nutrition professionals asked to be added to the mailing list, and in the spring of 2005, I transferred the list to an automated E-zine system. I still post one every month, and the list of ideas keeps growing. As of 2019, 11,000 health professionals receive the Tips series. Once I reached 25 Tips, I compiled them into the Counseling Tips for Nutrition Therapists Practice Workbook, and I have now published three books in the series. In the last few years, I have added training workshops and professional supervision for nutrition professionals to my work. My Counseling Intensive two-day Workshop travels the country. Connect, connect and connect some more! Don’t be shy about introducing yourself to everyone in your area who works with eating disorders. Ask if there is a local networking group or even a supervision group you could join. Attend local and national conferences and network. Stay connected. Experiment with which professional organizations support you best. If you are an RD, join at least the BHN Practice Group of ADA and IFEDD. Sign up for some e-mail listservs. They can be a place to turn with obscure questions and for referrals for your clients who move to other states.